Having trouble with your industrial hoses San Francisco CA? Whether you’re dealing with an unexpected hose failure, a fitting leak, or just need to replace aging hoses, the experts at Bernell Hydraulics can help. Because we stock such a huge selection of industrial hoses, we can offer you fast replacements for most generic hoses. What we don’t have in stock we can special order or even custom fabricate in our shop. If you’re not satisfied with your current hoses, be sure to let us know before you place your order so we can suggest alternatives. By choosing the best industrial hoses San Francisco CA for your unique application, you can extend the life of your hoses and get more for your money. During a hose analysis from a Bernell Hydraulics technician, you can get confirmation as to whether or not you’re using the right hoses. We’ll uncover any extra stressors or other factors that might be causing your hose problems and suggest a course of action. We might discover that you need a different proper temperature rating or pressure capacity. Or we might see that a simpler, more efficient hose assembly would reduce the amount of hose required in the system and reduce exposure to things like abrasion. When it comes to getting new industrial hoses San Francisco CA, you have two options: alter a generic hose to fit your machine, or get a custom made hose from the beginning. 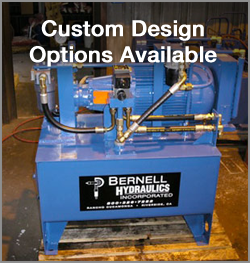 If you choose the custom route, you can get the exact hoses you need from Bernell Hydraulics. Let us measure, cut, crimp, and assemble your hoses right in our shop using professional tools, and you’re sure to get a superior product.